Author: Child, Lee Set In . . .
Jack Reacher lives for the moment. Without a home. Without commitment. And with a burning desire to right wrongs—and rewrite his own agonizing past. DEA Susan Duffy is living for the future, knowing that she has made a terrible mistake by putting one of her own female agents into a death trap within a heavily guarded Maine mansion. Staging a brilliant ruse, Reacher hurtles into the dark heart of a vast criminal enterprise. 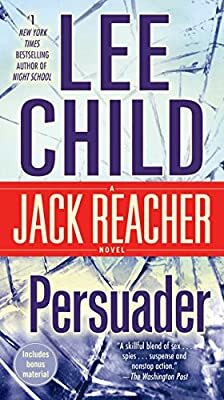 Trying to rescue an agent whose time is running out, Reacher enters a crime lord’s waterfront fortress. There he will find a world of secrecy and violence—and confront some unfinished business from his own past. BONUS: This edition contains an excerpt from Lee Child’s The Enemy.